I am writing this to emphasize it is circumstances, chances, inherent talents hitherto not tapped and proper time connect together to bring out the talents and specialties of a human and catapult him/her to the top. Please read upto the last paragraph. The recent case I could cite is that of actor Ranveer Singh. He doesn’t have a filmi family background. He wanted to try his talent in acting, got trained and entered the movie world. Luckily for him his debut film ‘Band Baaja Bhaaraat’ gave him a well written author backed role of a head strong man who wants to make it big; probably, the real Ranveer of that time. 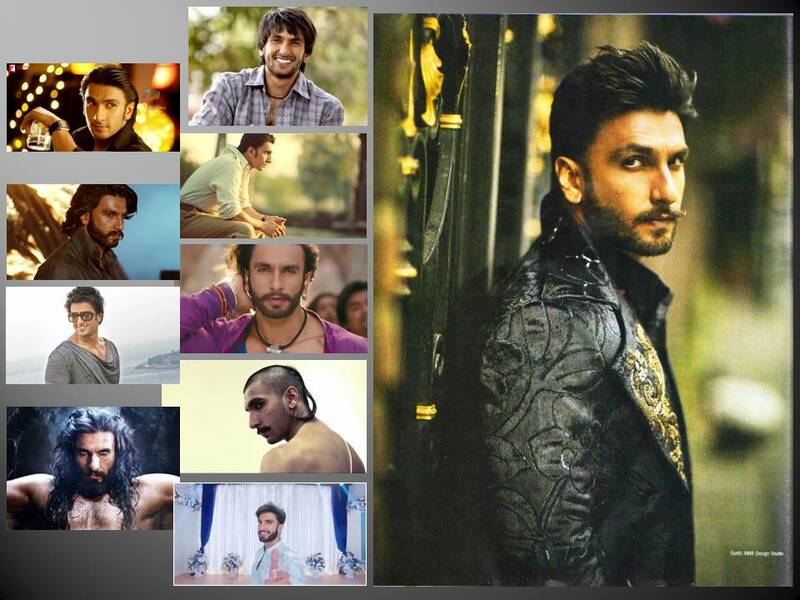 The movie clicked and so also Ranveer. But, unfortunately his second outing ‘Ladies versus Ricky Bahl’ neither got the press or public patronage. The fact is, that according to me, the film was quite engaging with both Ranveer and Anushka playing their parts very well. ‘Lootera’ was a slow but a serious movie. There Ranveer underplayed the role of a smooth crook. While ‘Gonday’ was a senseless boisterous movie, ‘Dil Dhadakne Do’ was a sophisticated melodrama where also his role was clearly etched. Please remember even none of his not very successful movies also didn’t show him in bad light. Ranveer’s part was always perfect. Then it was ‘Goliyon Ka Raasleela’, a colorful, high voltage romantic and action drama from the factory of Sanjay Leela Bhansali. The film’s success could be attributed to many qualities of the movie apart from the electrifying romance between the lead players, overdose of mayhem notwithstanding. Bansali seemed to have understood or identified the intrinsic talent of Ranveer Singh and offered him two diametrically opposite characters back to back; but with a complete author and director backing. As Ranveer had mentioned that his role as ‘Baji Rao’ and ‘Allaudin Khilji’ were extraordinary deglamorized but energy consuming. Both characters are deep rooted. While one is a straight forward warrior while the other is a cruel, cunning and unscrupulous animal with a desire to go to any extent for achieving his mission. Those who have watched ‘Baji Rao Mastani’ and ‘Padmavat’ vouch for this; the amazing and disturbing distinction between them was effectively brought out by Ranveer, the actor. He never hesitated to strain himself into getting into the skin of the characters he played to the extent that at one point he himself was completely feeling exhausted. Honestly speaking no young actor will venture into this amount of risk had it misfired, his total career would have been in jeopardy. Ranveer came unscathed and with laurels also. Hope he will be interesting to watch in his forthcoming offerings ‘Gullyboy’, ‘83’, ‘Simbba’ and ‘Takht’. According to his recent interview in Filmfare, all the four are different from the other as one is supposedly a biopic on Kapil Dev, which is all the more a risky proposition. He played the carefree brat in ‘Befikre’ with consummate ease; is that the real Ranveer Singh? Search me.